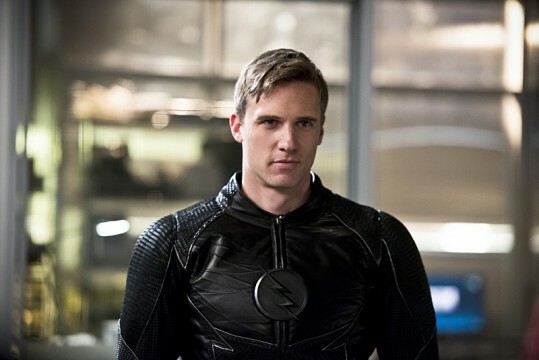 Despite the fact that it’s already been confirmed that Zoom is really Hunter Zolomon in The Flash, it’s hard to escape the feeling that there’s still more to his story than meets the eye, especially as he pretended to be The Flash on Earth-2 and has a mysterious masked figure locked up in his lair with a metal mask over their face. Equipped with the tachyon device, Barry (Grant Gustin) believes he is fast enough to stop Zoom (guest star Teddy Sears) and wants to open the breaches to catch him. Harry (Tom Cavanagh) strongly advises against that plan but after Barry convinces him, Harry reveals that Cisco (Carlos Valdes) has the power to re-open the breach. Meanwhile, Hunter Zoloman’s (Teddy Sears) painful story on Earth-2 is revealed. Stefan Pleszcynski directed the episode written by Joe Peracchio & David Kob. Finally getting to learn more about Zoom should be fascinating, while the prospect of seeing him unmask in front of Barry and them having a confrontation is very exciting indeed. We’ll just have to see what other revelations follow in this episode of The Flash when it airs later this month, but already we’re excited for it.